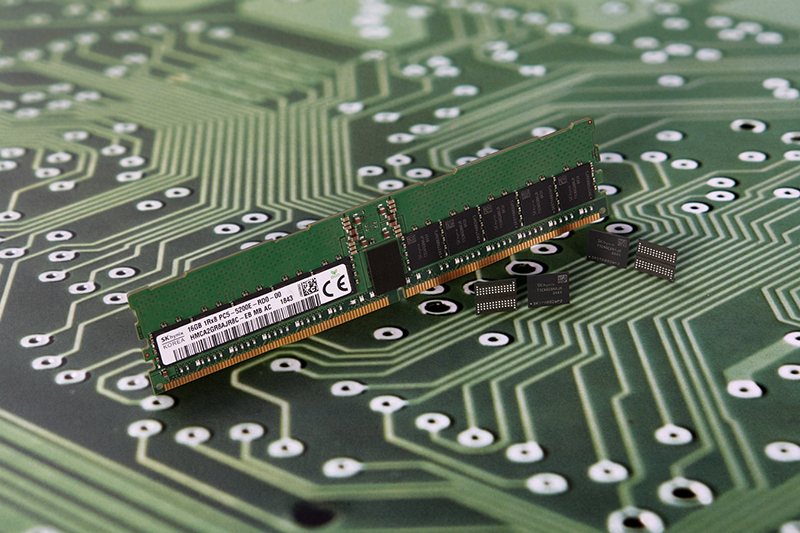 SK Hynix has announced that it has completed development of its first DDR5 memory chip. The chip comes in a 16Gb capacity and is reportedly the first in the industry to be fully compliant with the JEDEC standard, which hasn’t been published yet. Mainstream production is currently slated for 2020. SK Hynix’s DDR5 chip supports a 5,200 MT/s data transfer rate, 60 per cent faster than the 3,200 MT/s officially supported by DDR4. DDR5 offers power efficiency gains as well, operating at just 1.1V, which translates into 30 per cent lower power consumption than DDR4. The 16Gb chip is manufactured on SK Hynix’s second-generation 10nm-class process technology, and the company also has plans for DDR5 DRAM chips at 8Gb, 16Gb, and 32Gb capacities. JEDEC expects DDR5 to offer data transfer speeds ranging from 4,266 to 6,400MT/s. In addition, there should be improvements in total capacity and DIMM density. Other enhancements include two independent 32/40-bit channels per DIMM, regardless of ECC support, and better command bus efficiency. Elsewhere, Micron is expected to start production of DDR5 chips in late 2019, so the next generation of memory chips aren’t actually that far off. DDR5 products will initially be targeted at data-intensive applications like machine learning, AI, and big data. However, it is eventually expected to comprise up to 25 per cent of the total DRAM market in 2021, and up to 44 per cent by 2022, according to market researchers at IDC.